As I touched down in Lima, I peered out my window at the ocean not far from the airport, and I smiled. The beauty of Peru was evident already, and I had to use my 36 hours in it wisely. I used the Lima Airport Express to get to my hostel in Miraflores in the most efficient and cheapest way. It took about an hour to get to the Alpes Lima, where I spent my night, although the ride was very comfortable with the bus’s wifi and spectacular views of Lima. Once I got to Alpes, in the heart of Miraflores, I quickly discarded my things and searched for some food. I walked up to the Parque Kennedy, also known as the cat park, which I throughly enjoyed as an avid cat lover. Around the park is tons of restaurants and cafes, and I quickly decided on something called Cafe Cafe, desperate for a sandwich and a cappuccino. The views from the restaurant let me see the bustle of Miraflores, and helped me decide what to do in the upcoming hours. It was hot in Lima, after the slightly cooler weather of Santiago the last few weeks, I was not prepared for the heat in Peru, so I went back to my hostel to change. Not before enjoying a bubble tea though, my first in South America and after three months, it was everything I dreamed of. The hostel is managed almost completely by volunteers, who are also here to discover Peru. 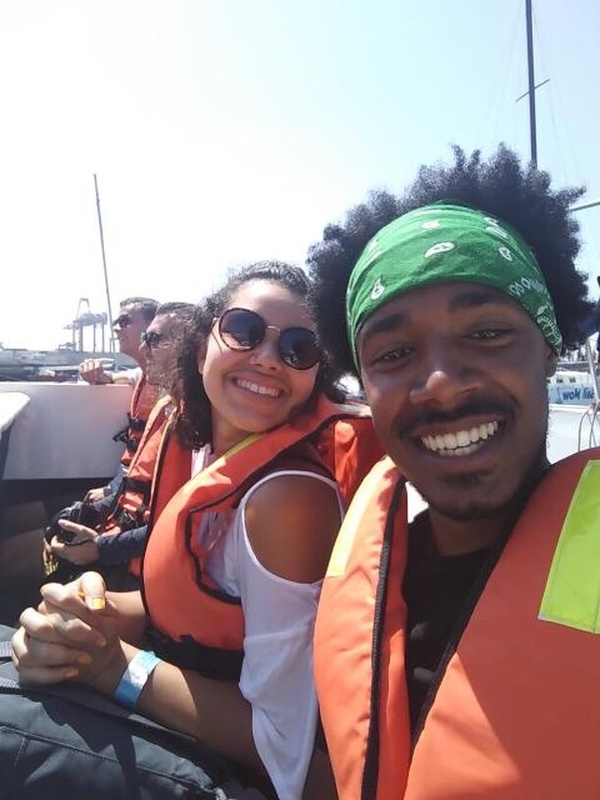 This is how I met the awesome people that would take me on a crazy journey the next morning, when we went swimming with sea lions! However, we have to finish day 1 first! After I changed, I headed down to the beach to watch the rolling waves, and ended up meeting some locals who wanted me to surf with them, which I polite declined because 1. the water was freezing, and 2. my surfing skills aren’t exactly wicked cool, more like just wicked. After enjoying the lull of the waves and nearly napping at the beach, I decided to walk to Larcomar, the outdoor shopping mall in Miraflores. It was a nice mall, and I enjoyed some gelato, although the stores were all US based and the prices were about double. So for a budget traveler, it probably wasn’t the best place to spend a day. My day concluded with a barbecue dinner at my hostel (fish for me) and a couple Pisco sours (brandy with lime juice, simple syrup, egg white, ice and Angostura bitters). You might have recalled me mentioning consuming some pisco while I was in Chile? Well it’s an internationally adored drink in both countries, and controversy surrounds the topic over where it originated (definitely Peru). 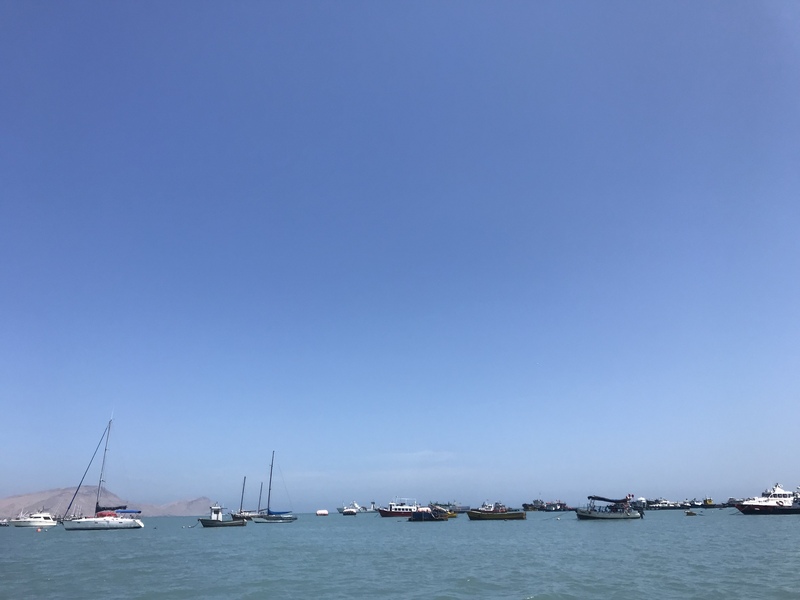 The next morning, we set out bright and early, taking an uber to the harbor of Lima. 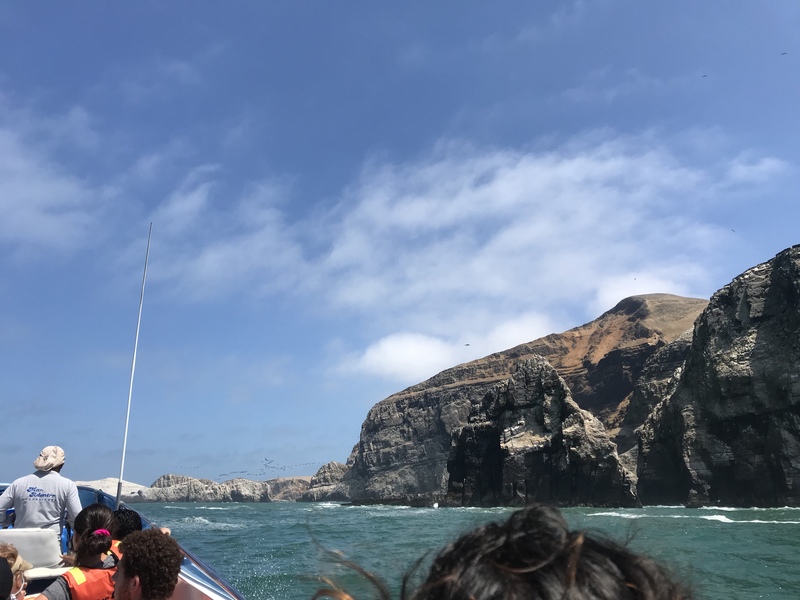 There, we boarded a boat and set out two hours into the ocean to head to the island of sea lions, passing the navy base, some fisherman, and lots of islands covered in sea birds and penguins. 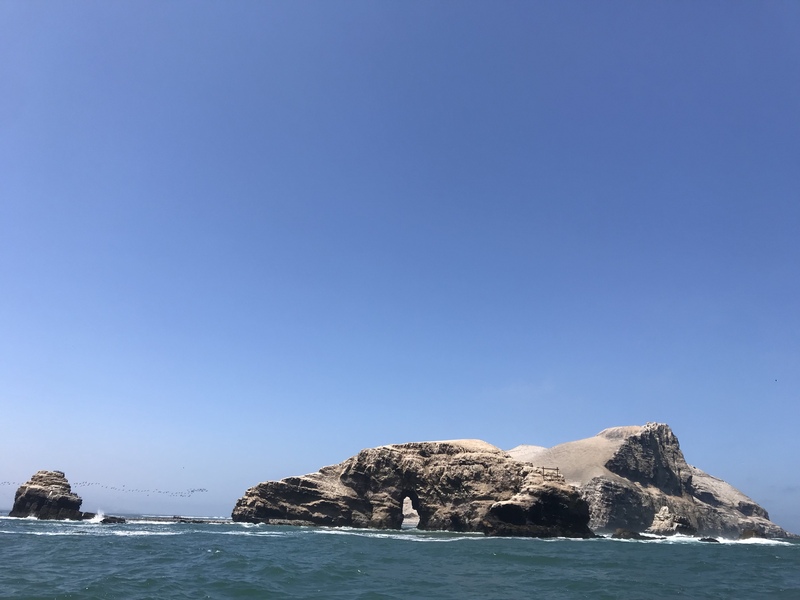 The trick to not getting seasick, as I had in Colombia, is to stare outside the boat the entire time, which was pretty easy given the stunning views we were privy too. 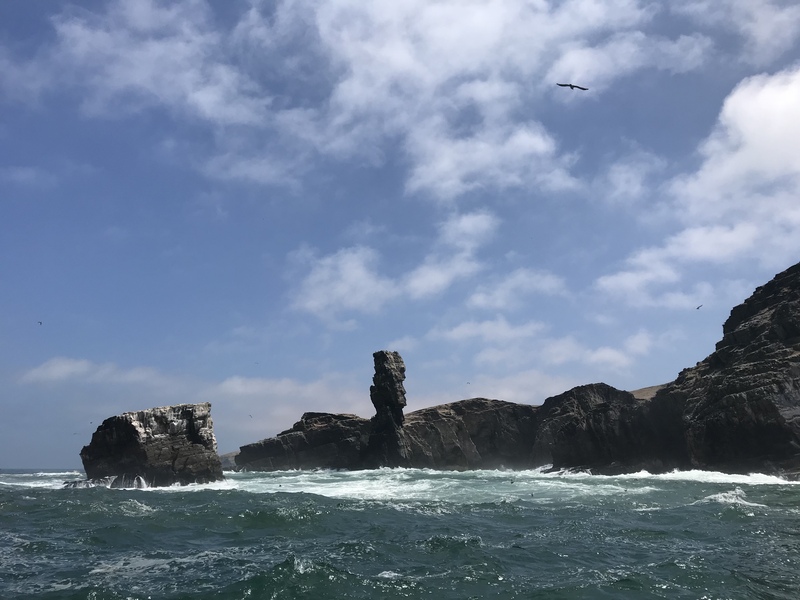 We could hear- and smell- the island of sea lions before we could see it. The male sea lions make a lot of noise, although we quickly became accustomed to that and the smell slowly became less noticeable. We hopped into our wet suits to prepare for the frigid temperatures in the water. Our guide told us to get in the water, don’t get too close to the island (so as not to upset the parent sea lions), and stick our feet out to the sea lions. The sea lion cubs would swim to our feet and sniff them! Do you see all the sea lions laying on the island? 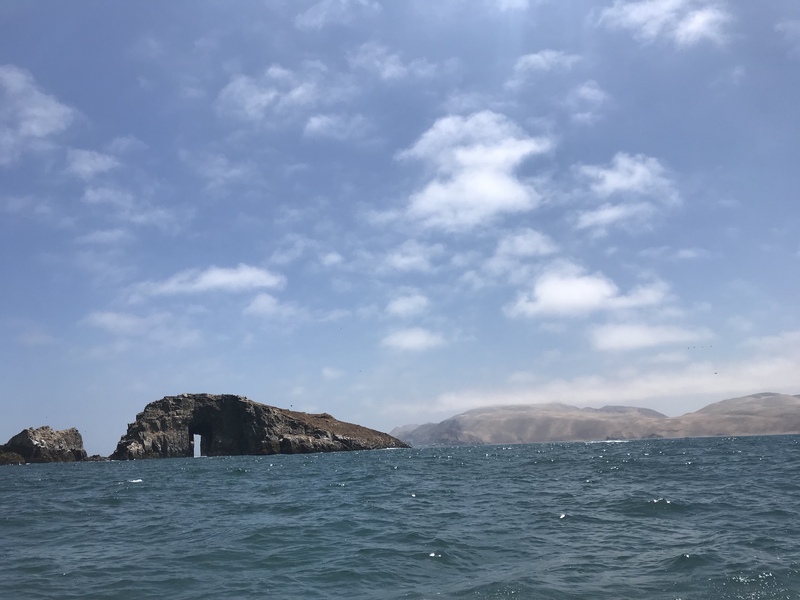 I jumped in (so, so cold), and quickly swam over near where the sea lions were congregating. We got in a long line, linked arms, and the sea lions swam right over to us out of pure curiosity. We didn’t bait them or call them over, they wanted to check us out. I think part of what made the experience so pure was that the sea lions weren’t being forced to do anything, when they flipped out of the water it was because they wanted to. They were so happy, and that made us all really happy. One even came over and sniffed my feet near the end, and gave them a little nibble (all innocent and playful, I was never in harm). Hands down one of the best experiences of my life. 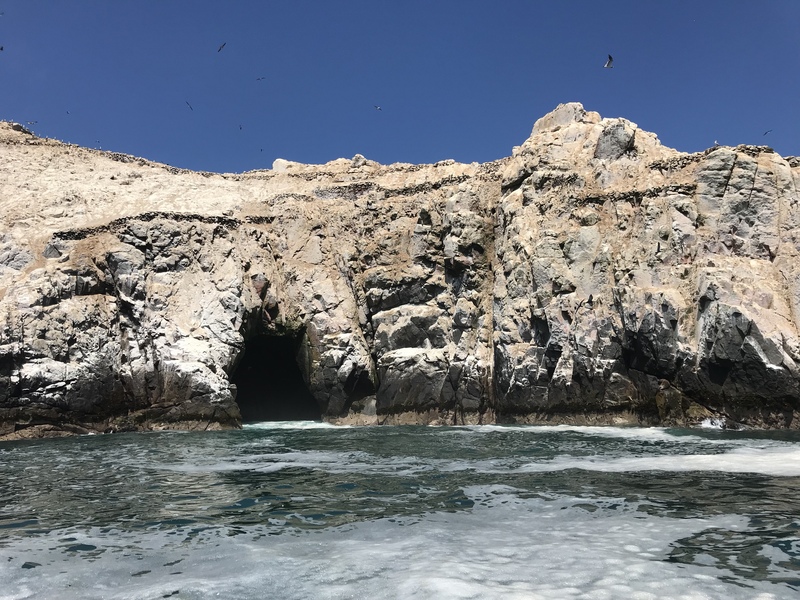 We all vowed to never wash our feet again, but after emerging from the boat we all realized we needed a shower from being in that sea lion water. 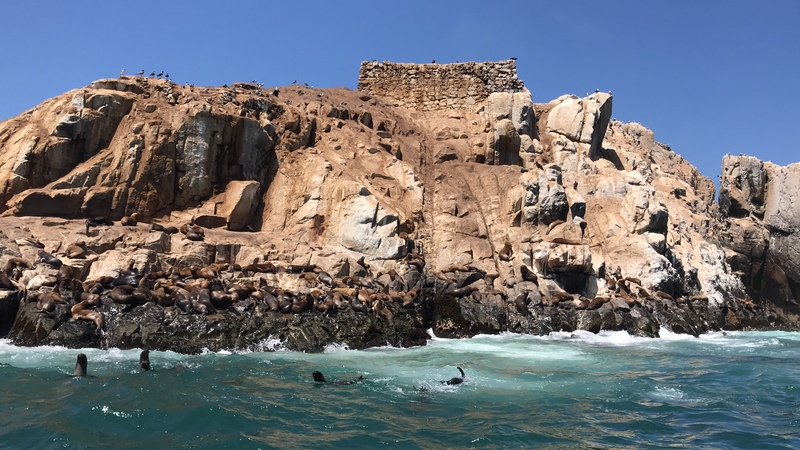 I will never forget swimming with sea lions in the middle of the ocean though, and it is definitely one of the purer experiences of my time in South America. After our showers, we were famished so we headed out for all you can eat sushi at KO in the Larcomar Mall. As a group of seven people, we collectively ate 260 pieces of sushi (thats over 30 pieces per person!) and I am proud to say I was not the first to tap out! The sushi was delicious, and I was pretty sure I would never have to eat again after that. Walking the five blocks back to the hostel was a minor challenge, but after a nap I was refreshed and ready for my last two hours in Lima, before I had to catch the Airport Express for my flight. I ended up just chilling with my new friends, and playing some card games so I could win enough money for my last Pisco sour (I was out of soles at this point). I was successful, and then ran to catch my bus. 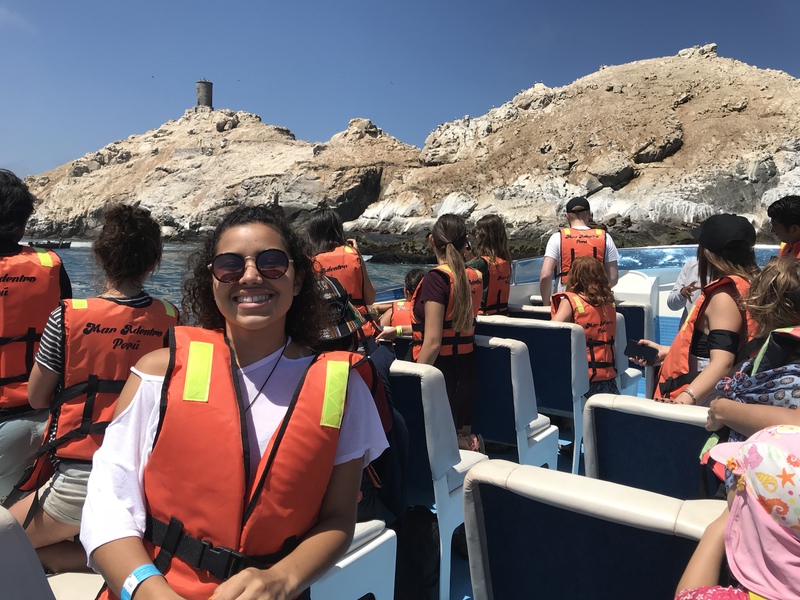 Overall, I’d say my 36 hours in Lima was a success, and if you are ever in Lima, I 100% recommend swimming with sea lions. I will definitely be coming back to Peru someday soon, because I have more exploring to do. Who’s in for a Machu Picchu trip? P.S. Keep on a lookout for my South America trip video, coming in a few days. You will get to see the sea lions in action and tons more! Previous What to See and Do in Santiago, Chile! Next South America 2018 Video is Here!